Sarco Architects has completed the design for Rancho Santa Fe Panama, a mountain gated community. Sustainable architecture was at the heart of the project. Rancho Sante Fe Panama is 75 minutes west of the hustle and bustle of Panama City, and 15 minutes away from the Coronado Town Intersection where there are grocery stores, medical services, restaurants, and other valuable commercial services. The Coronado beach town and golf course is not far from those establishments. 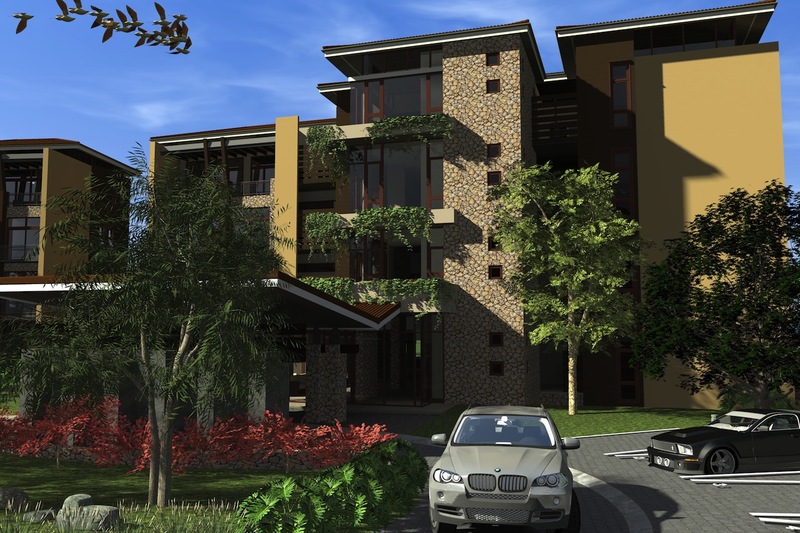 This gives the residents the perfect blend of serenity and everyday conveniences. The location of this mountain gated community offers many benefits. Since it is at the elevation of 1,800 feet, the change in altitude provides clean, fresh air and is at least six degrees cooler than the coastline. All of that makes for an enjoyable mild climate. Another treat is the 180 degree mountain view of the rolling hills and pristine ocean below. Sarco Architects is a custom luxury architecture firm with offices in Costa Rica and Panama. They have been in business for over 30 years in Costa Rica and they offer green architecture services to all of their clients. They respect the environment, making sure to minimize their carbon footprint when designing a project. Their current design proposal for Rancho Santa Fe Panama is no exception to their green philosophy. One of their goals for this project is for it to be a shining example of sustainable architecture in Panama. To achieve this goal they included many green elements into their work. The exterior ceilings and wood beams will be made from renewable plantation wood, the common areas will be powered by photovoltaic cells on areas of the roof that are purposely sloped to create room for them, and the irrigation system will use rainwater. The design also calls for the use of solar powered exterior lights, locally sourced stone for the cladding of walls, and the use of environmentally friendly composite wood siding on exterior surfaces. The list does not end there, as they plan on incorporating even more sustainable concepts and elements once they are further along into the project. A lot of time, thought, and dedication went into the creation of this project. The mountain location provides unbeatable scenery and the peace only nature can provide, while not being far from the rest of the world. This project mixes elegance and sustainability perfectly. This press release was prepared by Bobrow Consulting Group ( click here for website ) for Sarco Architects. BCG works with building design professionals to build their business by optimizing their online strategy, teaching an architect marketing course as well as offering web design and SEO consulting services.